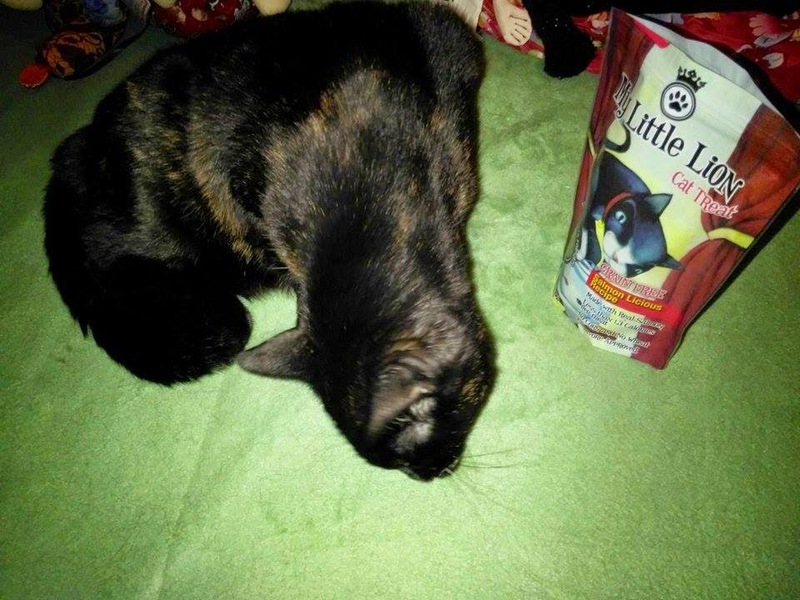 Truffles and I would like to thank our friend Taylor from For Tails Only for the yummy treats that she sent for Truffles' Gotcha Day as part of their Pet Birthday Club. Truffles is a total treat junkie and I'm always on the lookout for healthy, grain free treats for her to enjoy. She inhaled these so fast that I couldn't even capture a treat in the photo, just Truffles washing the blanket clean! Would you also mind taking a moment to fill out the brief 5 question survey below? I've been chosen to participate in a BlogPaws campaign for Natural Balance's line of Ultra Whole Body Health pet products. The results of the survey are going to be compiled into a really cool infographic that I will be sharing with you in October. Thank you in advance for your time! We'll be on the lookout for those treats. Our Mommy is always looking for healthy treats for us. Thanks for sharing! They might even make it to NZ - I love the packet! Looks like some yummy treats! Gotcha Day treats taste better than regular treats! Those treats look really good! I've seen the My Little Lion treats and wondered if my babies would like them. Perhaps it's time we try them! ConCats on da yummy tweats fur yous gotcha day. Happy gotcha day! Enjoy those treats. yummm! Thanks for posting the survey too! You got treats for your gotcha day, Truffles? Awesome!